Attorneys › Dr. Bernd Christian Janssen, LL.M. Dr. Bernd Christian Janssen, LL.M. 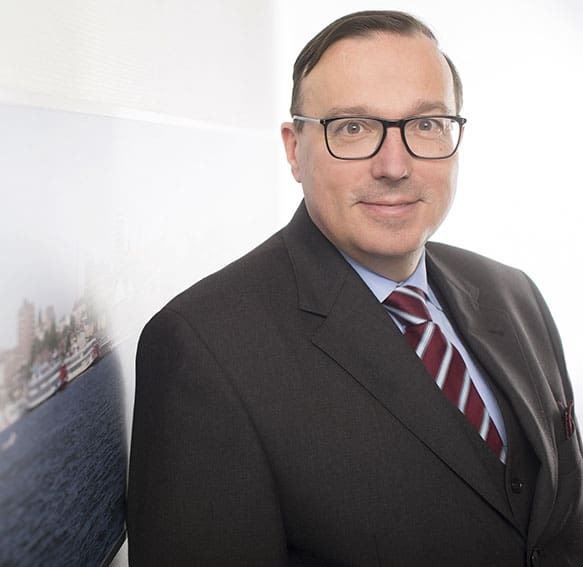 Dr. Janssen works with the chemistry team at Uexküll & Stolberg in Hamburg. His activities include the drafting of patent applications, patent prosecution and litigation, including nullity and infringement proceedings, with the main emphasis on prosecution, oppositions and appeals before the European patent office. Dr. Janssen’s activities also include trademark prosecution and oppositions before the German Patent and Trademark Office and the Office of Harmonization in the EU-Internal Market. Dr. Janssen graduated with a diploma in chemistry from the University of Heidelberg and obtained a doctorate in chemistry from the University of Heidelberg in 1994. In the same year, he joined Uexküll & Stolberg as a trainee to become a German and European patent attorney. Dr. Janssen gained experience in U.S. patent practice by joining a patent law firm in Chicago, IL, and the patent departments of ExxonMobil in Florham Park, NJ and Baytown, TX, in 1998. In 2009, Dr. Janssen acquired the Master of Laws in European Intellectual Property.